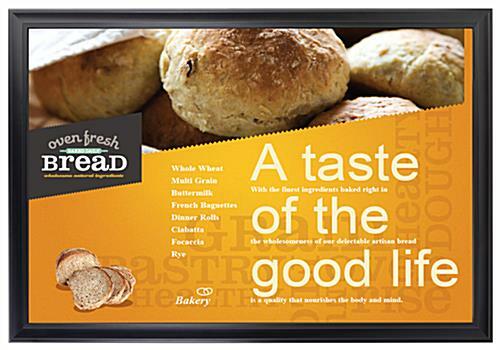 This 24x36 Frame Displays Either Vertically or Horizontally. The Unit is Easy to Update & Keep Fresh With New Artwork. This 24x36 Frame Has a Slide-in Design With an Opening on One Side. Single-sided slot makes a quick change possible; no need to detach the frame from a wall. 24x36 dimensions are common; no special printing necessary. Mounting holes anchor the frame in place. 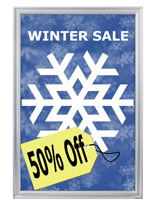 Plastic non-glare overlay protects art & prevents it from slipping out the front. 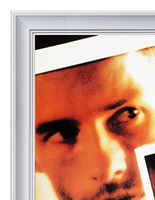 This 24x36 frame pairs style with usability. 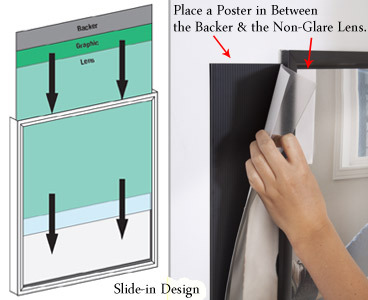 The black aluminum poster holder has a slide-in design to simplify the process of updating signage. 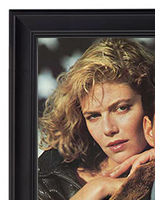 This wall mount 24x36 frame, also known as a picture display, has an opening along one side of the framing. 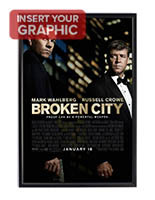 To refresh graphics, simply slide a new poster through the channel. The black 24x36 frame is equipped with a lens to place over top of a sign. This keeps artwork from becoming damaged and from falling through the face of a fixture. 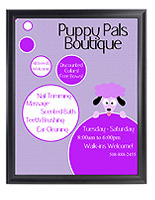 This 24x36 frame that holds a 24 x 36 sign can be displayed either vertically or horizontally on a wall. Please note that when showcasing an upright poster, the opening must be at the top of the display to make sure signage remains in place. 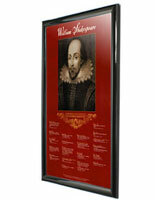 This 24x36 frame that updates almost instantly is anchored to a wall with the provided screws and anchors. 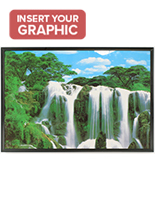 The picture holder can therefore remain on display throughout the process of refreshing graphics. By threading the hardware through the framing, a user is actually creating a sturdier presentation than standard fixtures, which typically require the use of hooks. 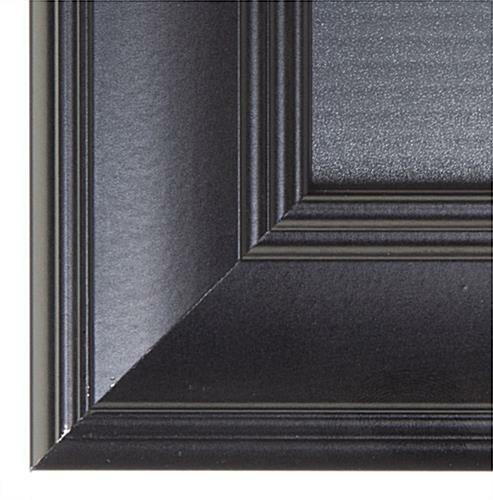 This 24x36 frame that has a slide-in structure has decorative elements along the 1-5/8" wide profile. While subtle, the matte black molding will draw attention to a displayed advertisement, as it creates a professional-looking display. This 24x36 poster frame is ideally meant for use in locations requiring frequent artwork updates. 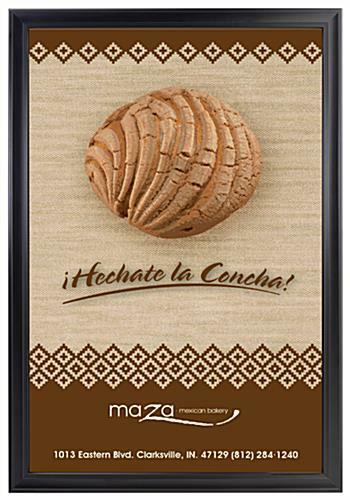 Retail stores, hotels and restaurants would all benefit from the addition of this 24 x 36 picture holder.